Now, to get started, get the bike up on it's centre stand and remove the Triumph badges from either side of the tank. 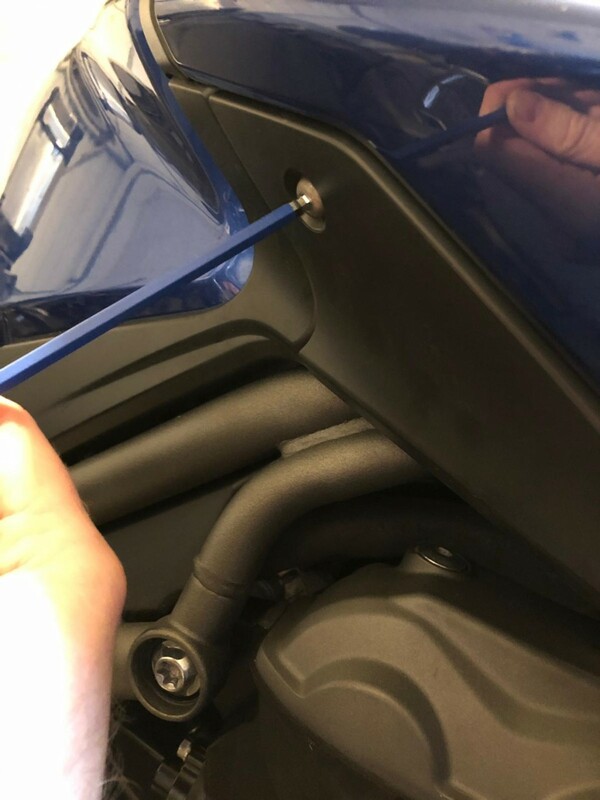 and remove the plastic trim in front of the tank filler, remembering the 12v socket is plugged in underneath and there's a tab that hooks into a bracket in the tank. Don't rip it, tease it. 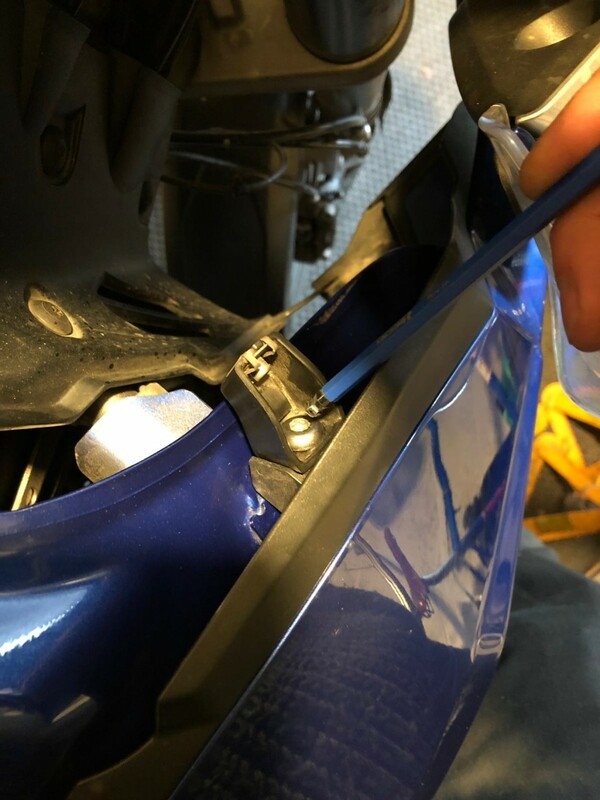 Now, on both sides of the bike, remove the inner trims beside the front suspension legs. 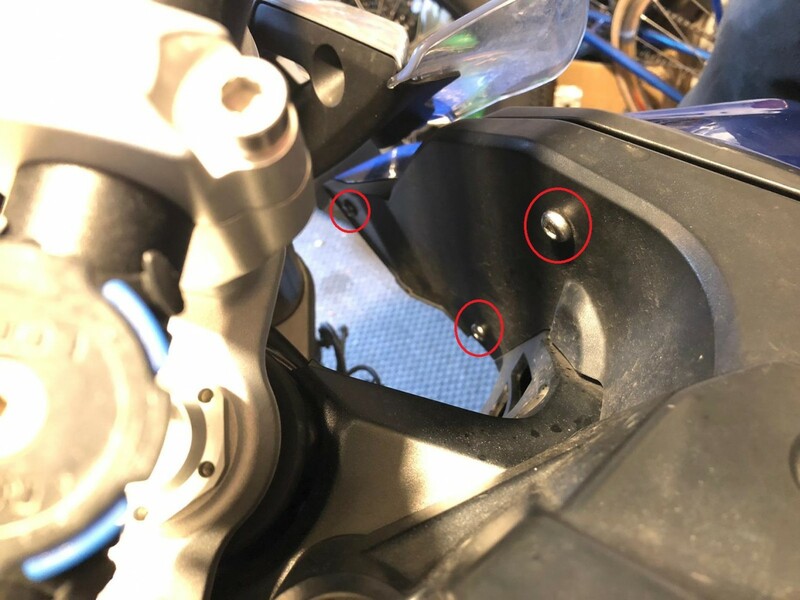 You'll need to move the bars around to get tools in, so make sure your bike isn't "walking" forward into a position where you can't roll it down off the centre stand when you do this. 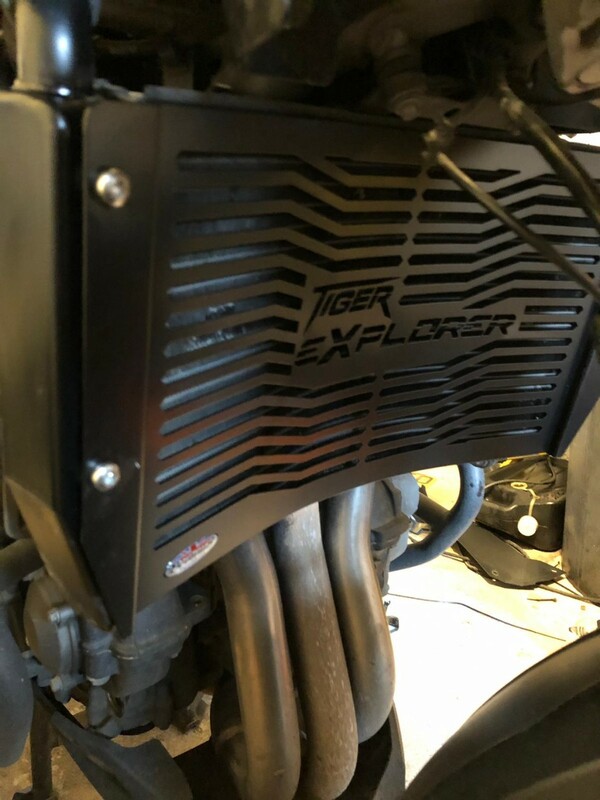 Now, you should have exposed the radiator and there are four handy bosses that the kind folk at Triumph have provided. Now, I don't want to go all metallurgist on you but these are aluminium threads in an aluminium radiator. You should have fixings with your radiator or (like me) you don't and had to specify your own. 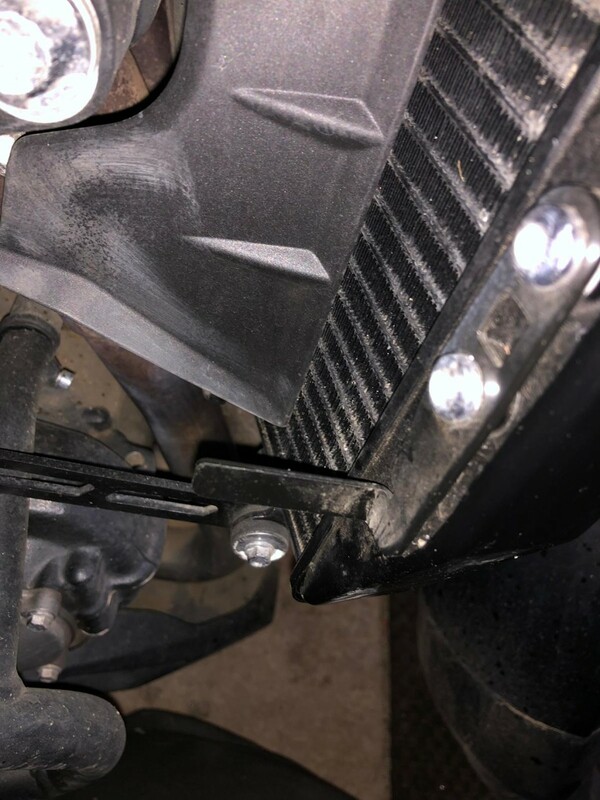 I don't need to tell you that this area gets messy, road spray, salt, mud etc and it also heat cycles from air temperature up to 90 degrees centigrade - this is the WORST possible situation for metal fixings, so if you put in cheap mild steel they will corrode horribly and possibly damage your radiator. Steel and Stainless Steel in aluminium threads cause different reactions, steel rusts and damages the threads while stainless steel promotes the aluminium to corrode (known as galvanic corrosion) and can actually be worse than regular orange rust. 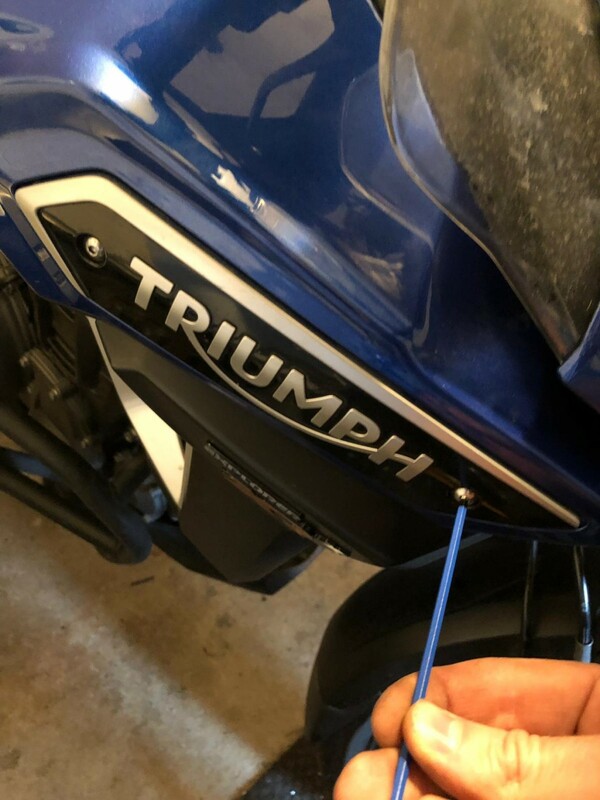 Do your research, coat your fixing threads with something that will inhibit corrosion of either part, but will not help the fixings vibrate loose (NO COPPERSLIP OR LITHIUM GREASE) - in my case I used a high temperature blue lock tight paste. Now, the guard is installed. This particular one is stainless steel, powdercoated satin black, and is a product from Beowulf. Now, refitting all the panels can be fiddly. 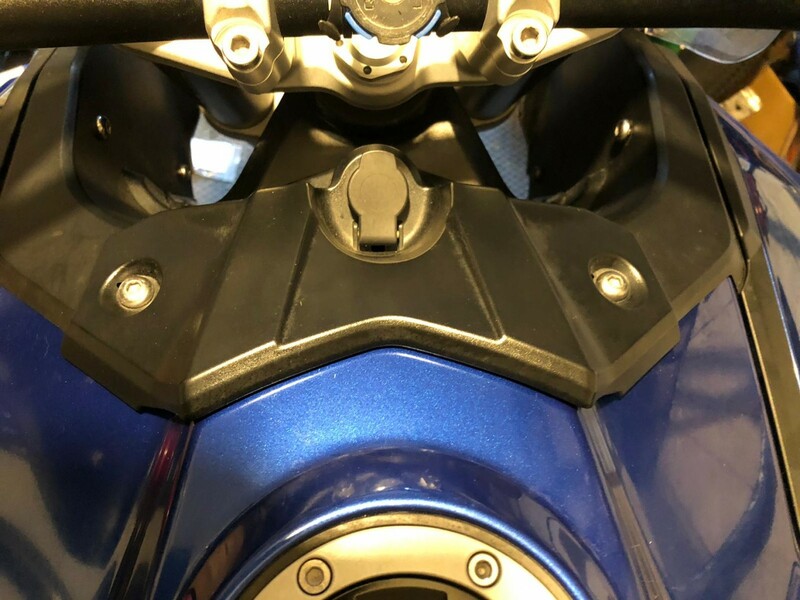 Start by locating the rubber slots on the tabs of the radiator, and then fitting the top tabs of the fairing OVER the boss on the tank. Refit all of the fixings, I started at the back working forwards, fitting the rear fixing lightly and the one with the little bracket up top, and the one under the Triumph badge. Make sure the fairing is sitting straight and there are no major gaps, if there are then readjust. 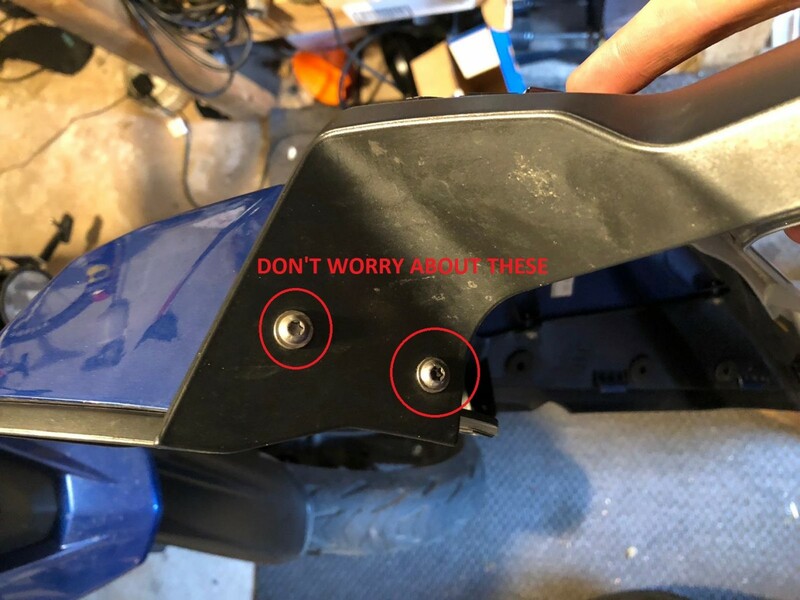 Tighten all of these fixings down (don't go wild, its only plastic) and then refit the trims beside the fork legs and then refit the top tank trim. JOB DONE, time for a recovery ale. Nice job and good advice re the fixings. Its amazing how many manufacturing companies don't employ Chemists & Metallurgists effectively (or at all). You can see many obvious blunders in all sorts of products on sale. I was going to say "these days" but my old chemistry teacher was moaning about this back in the 70's. Good post on how to do this. 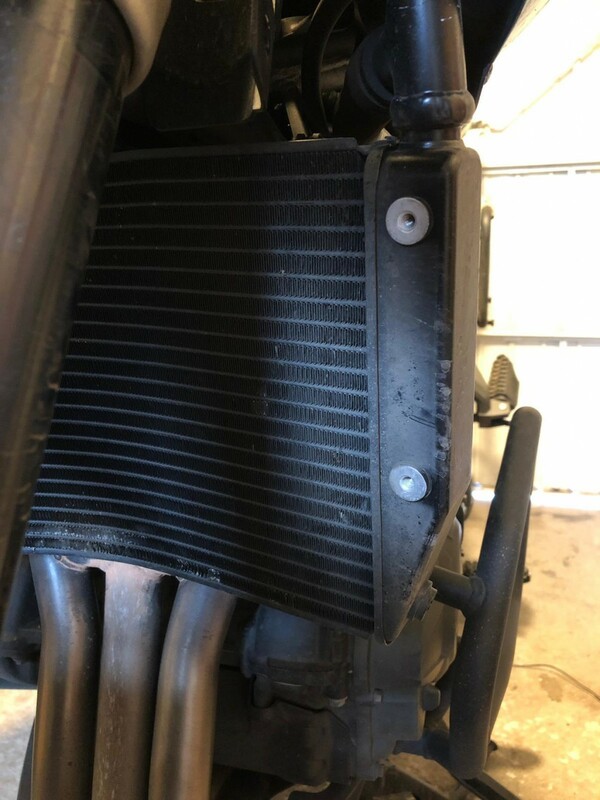 That is a good looking radiator guard. 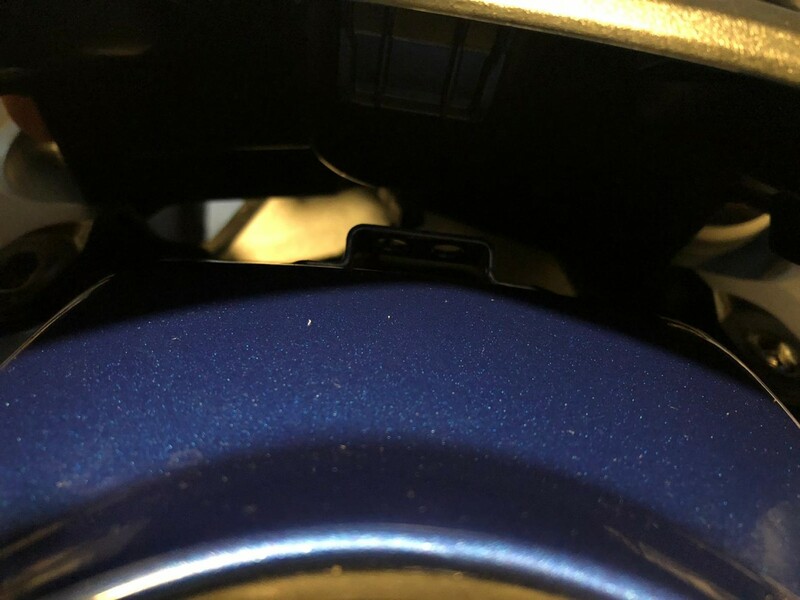 Fitted a Power Bronze one to my ‘15 TEx a couple of years ago. I didn’t need to remove anything to do it. I was going to say "these days" but my old chemistry teacher was moaning about this back in the 70's. 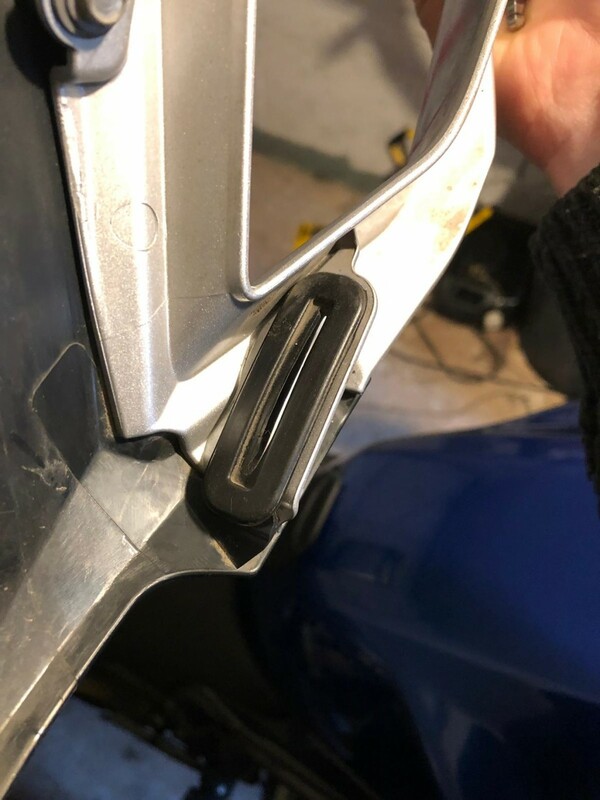 Fitted an official one to my 16 XR last night, this guide helped so thanks! Getting the panel back on with the prong going through the middle of the rubber was a PITA but I got there in the end. I didn't fancy trying to bend the panels out of the way to shortcut the job. 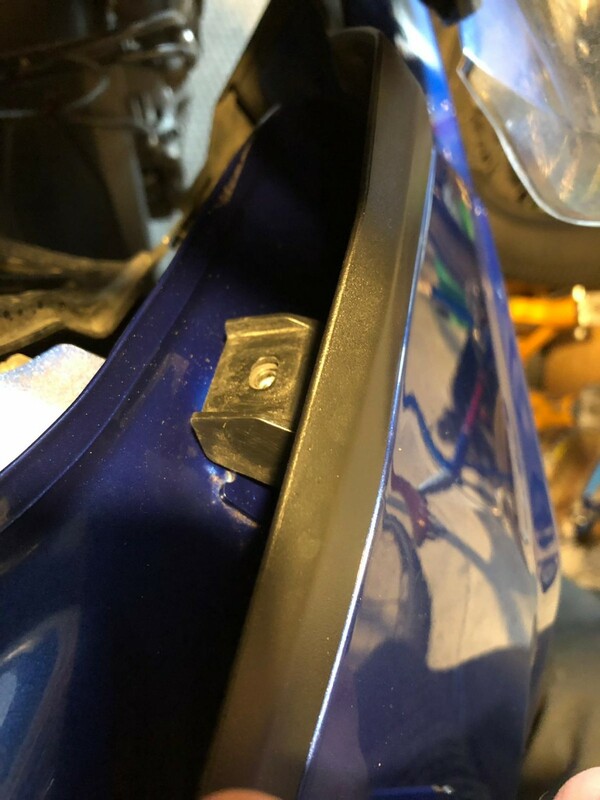 I can't believe it takes 18 bolts to be removed to fit a simple guard! The Powerbronze guard is not held on using the tapped holes in the radiator. Instead it uses what are effectively tie wraps at the four corners but instead of being made of plastic they are thin metal strips. 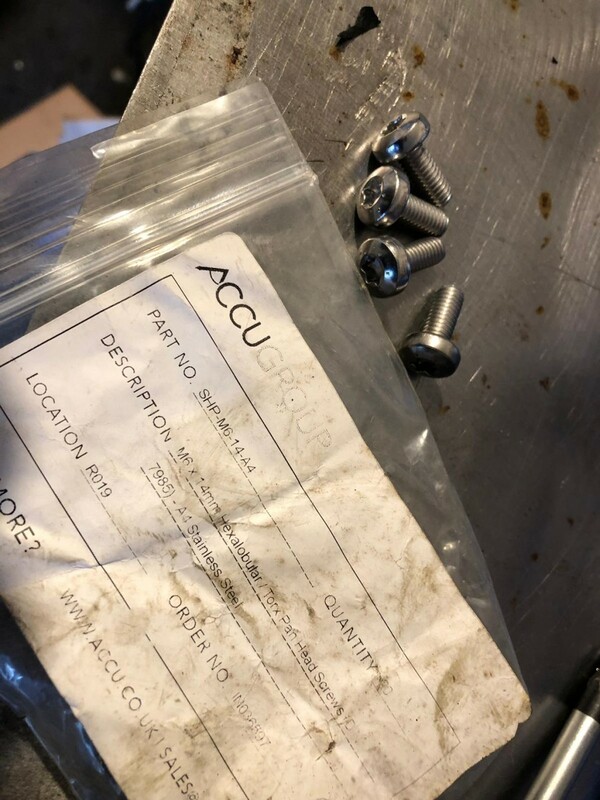 I guess they must be stainless since mine has been on for over 3 years and never shown any corrosion nor has it moved at all.